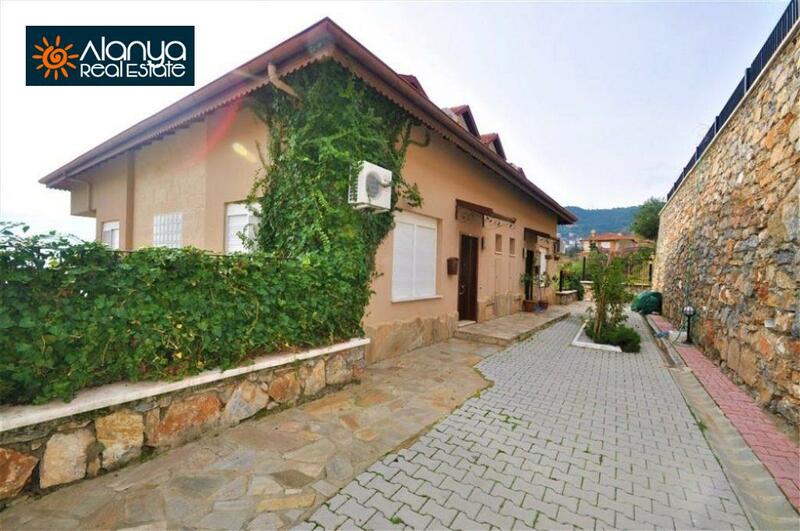 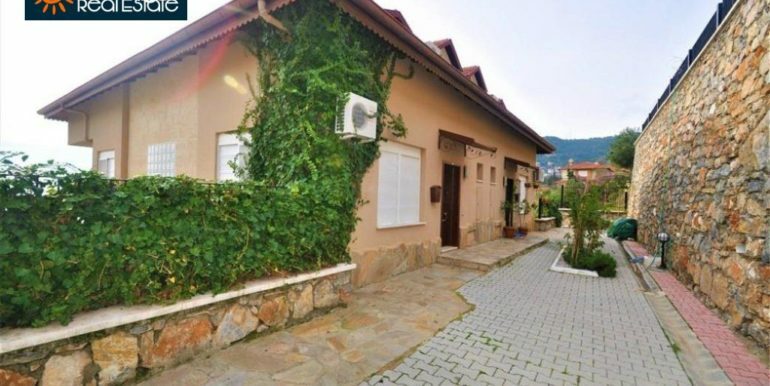 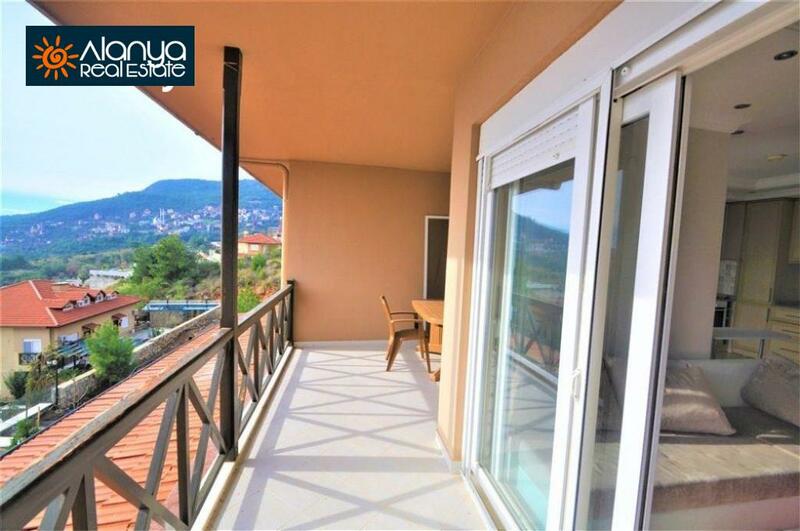 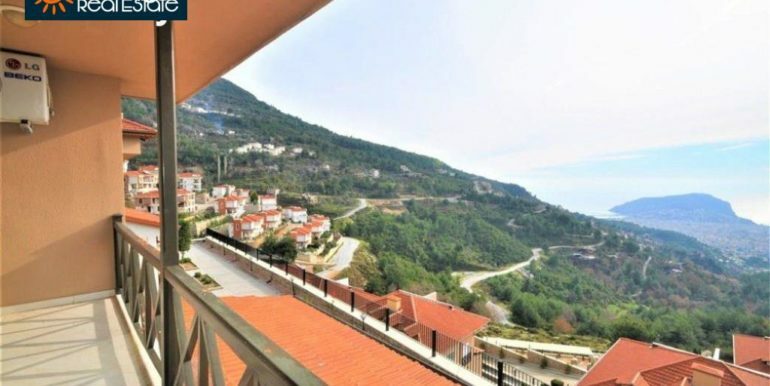 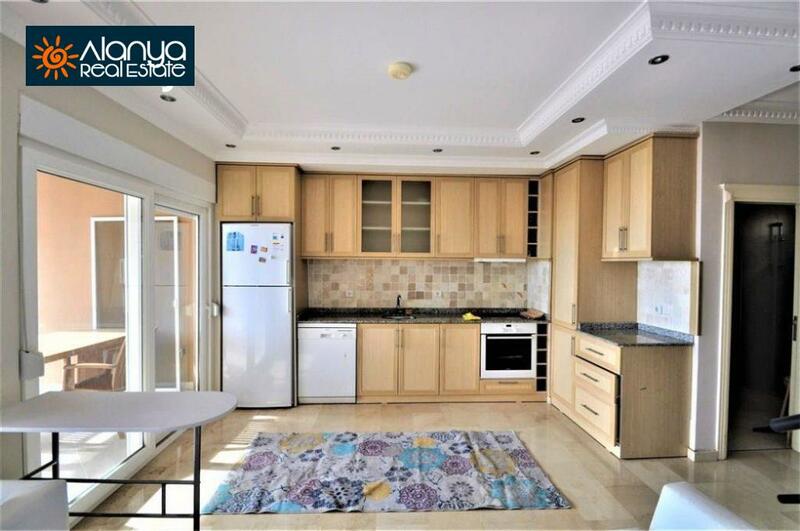 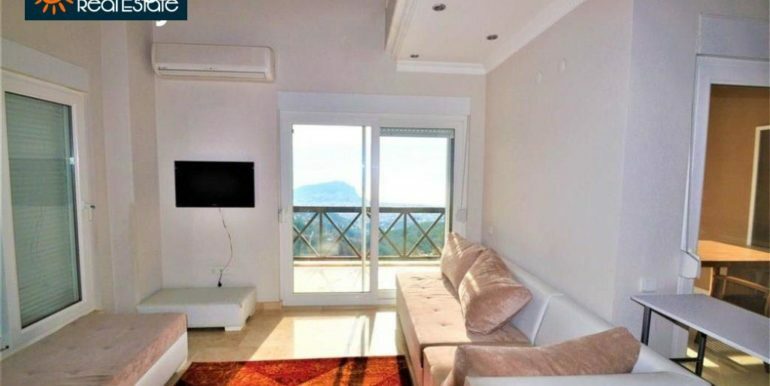 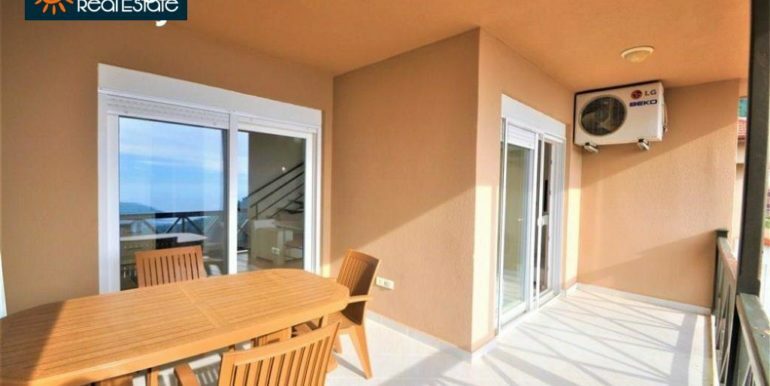 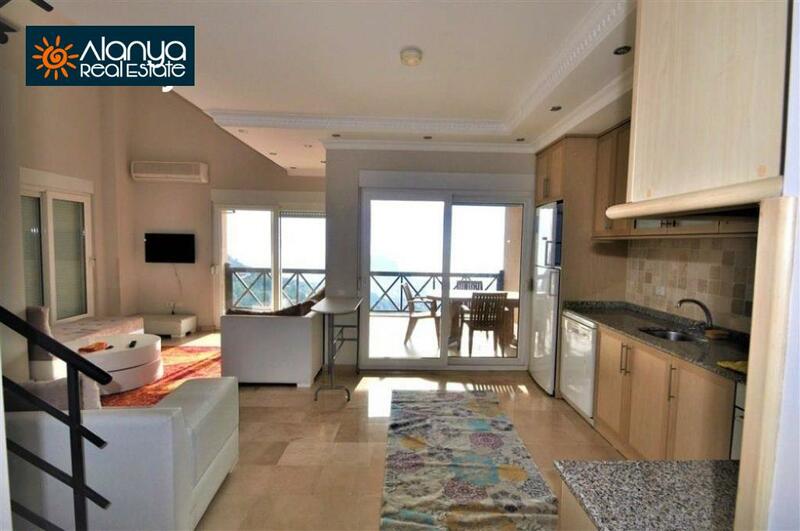 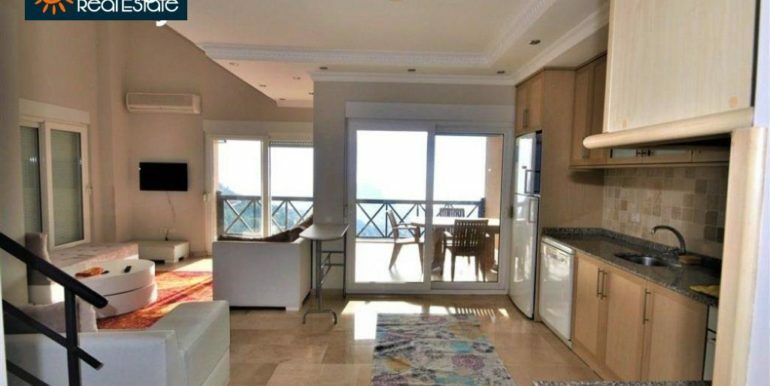 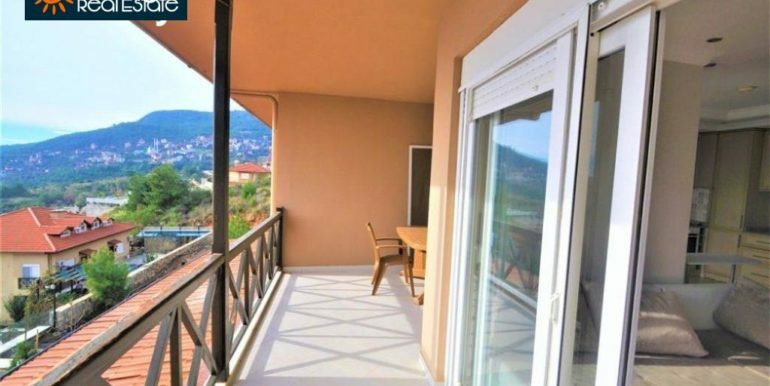 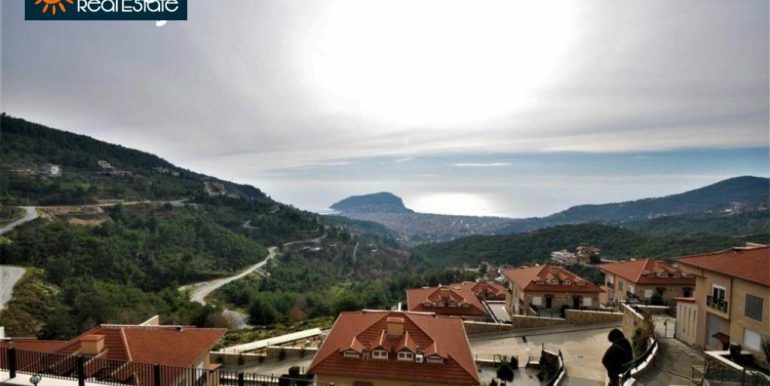 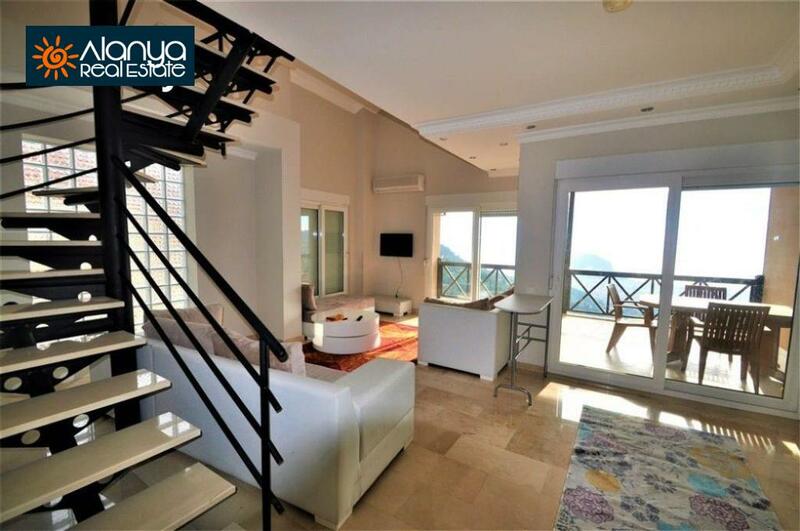 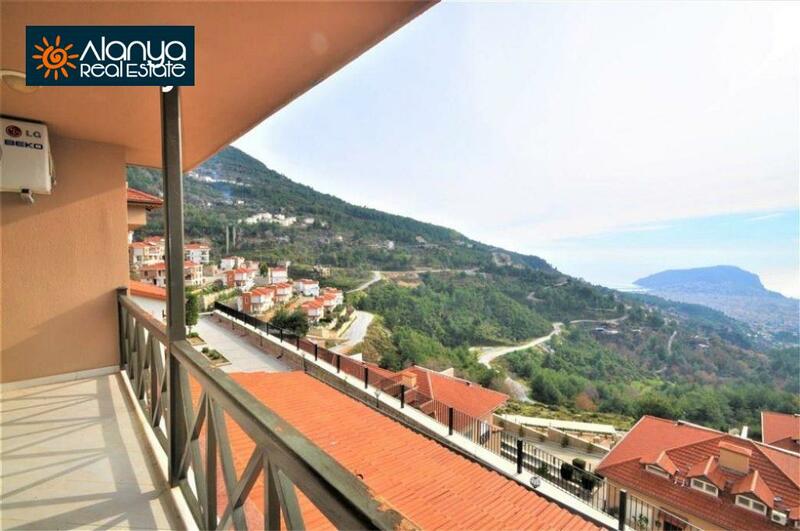 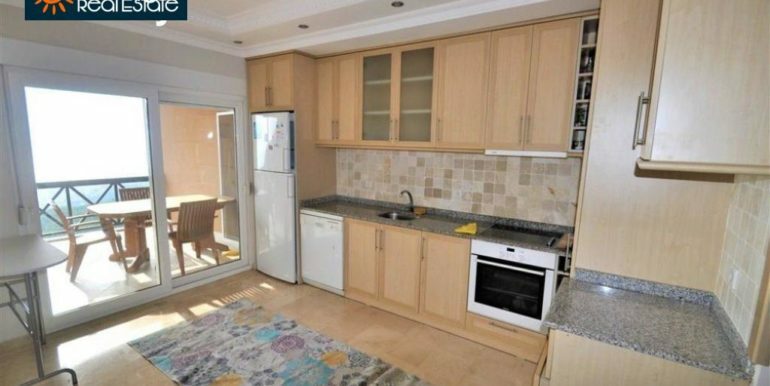 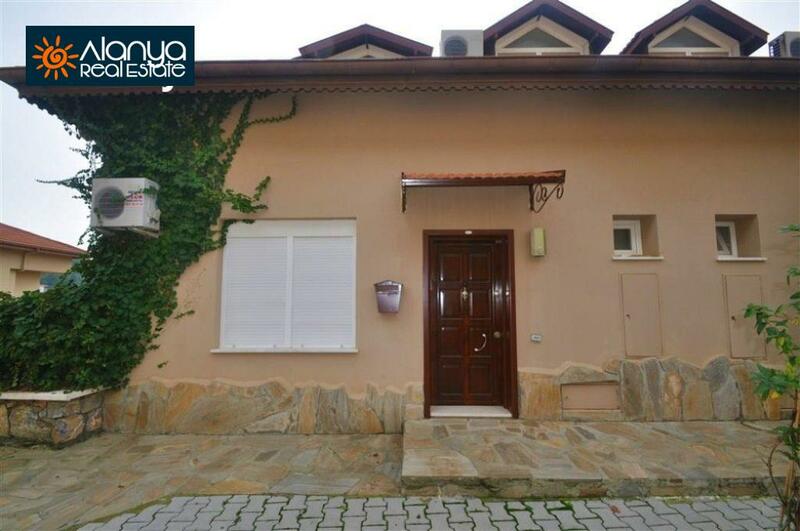 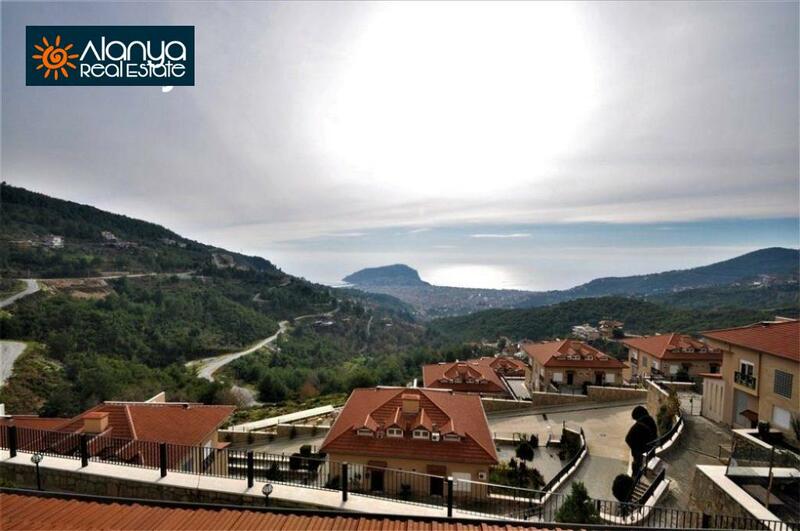 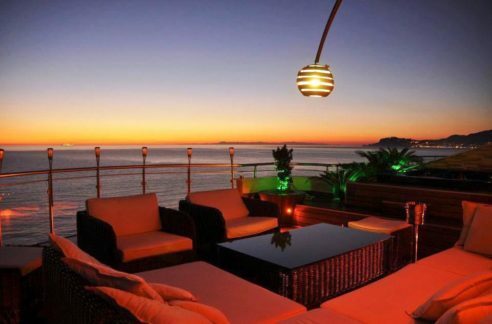 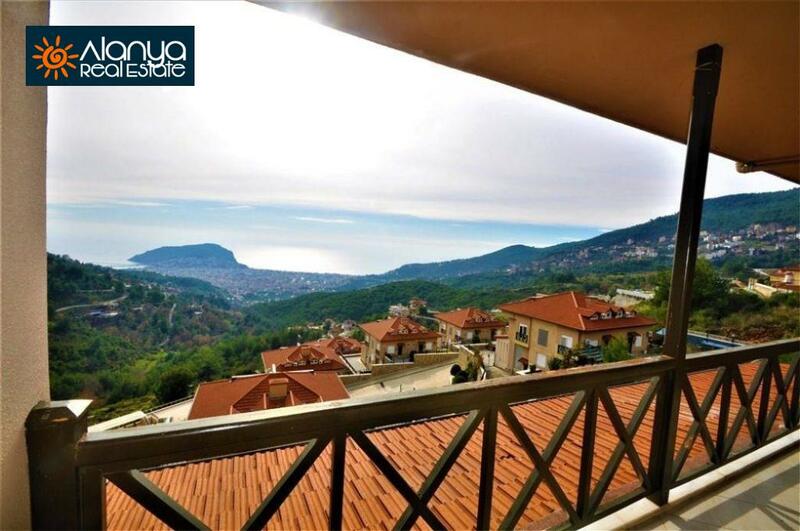 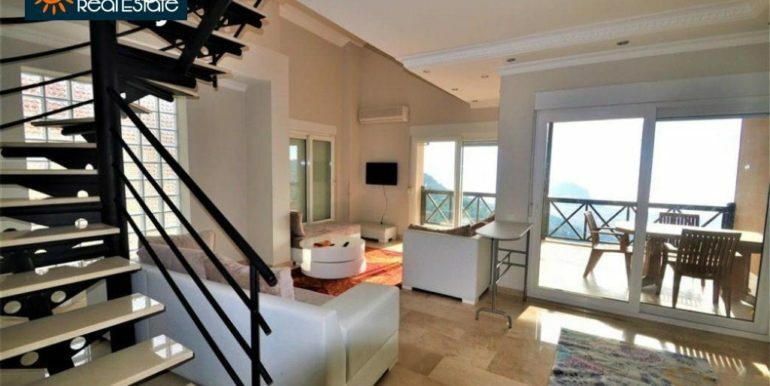 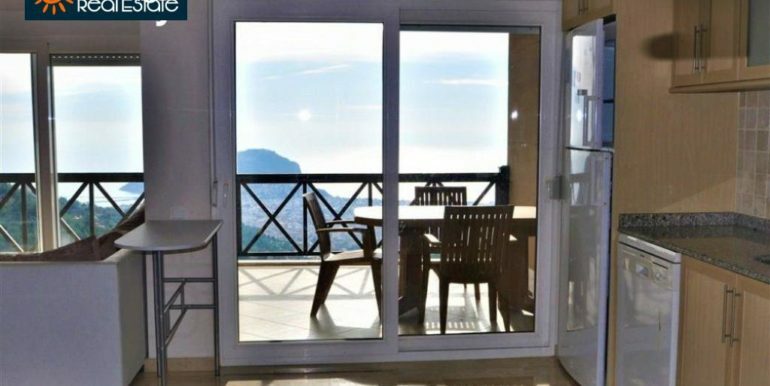 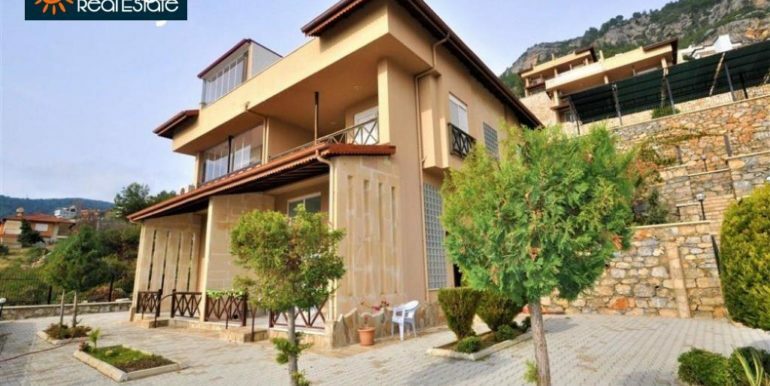 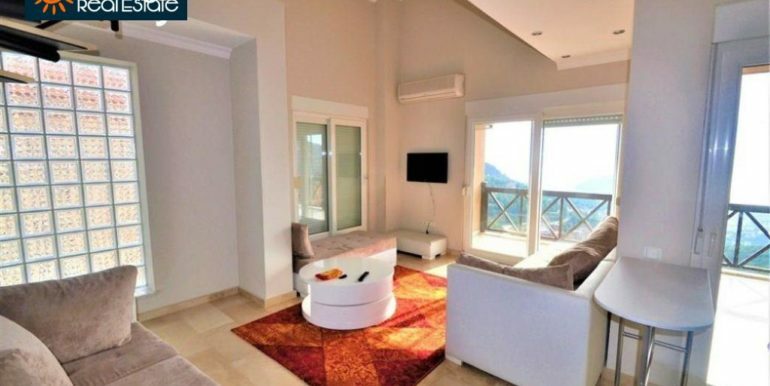 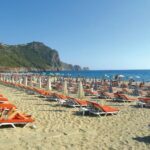 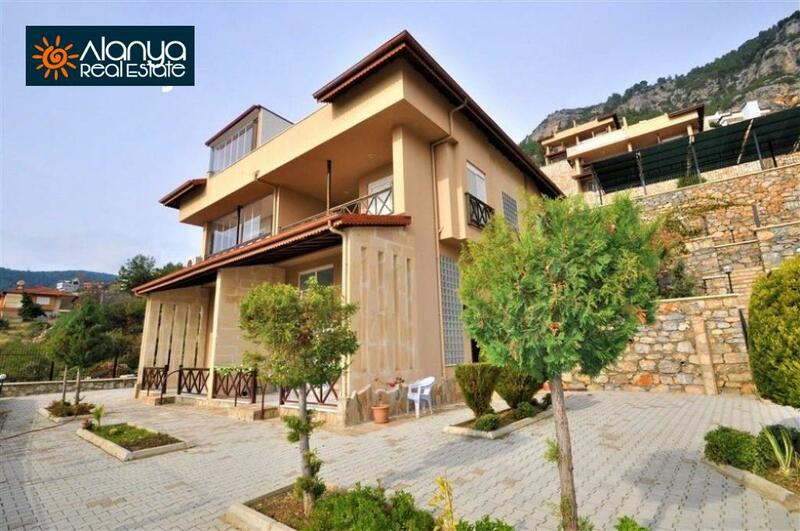 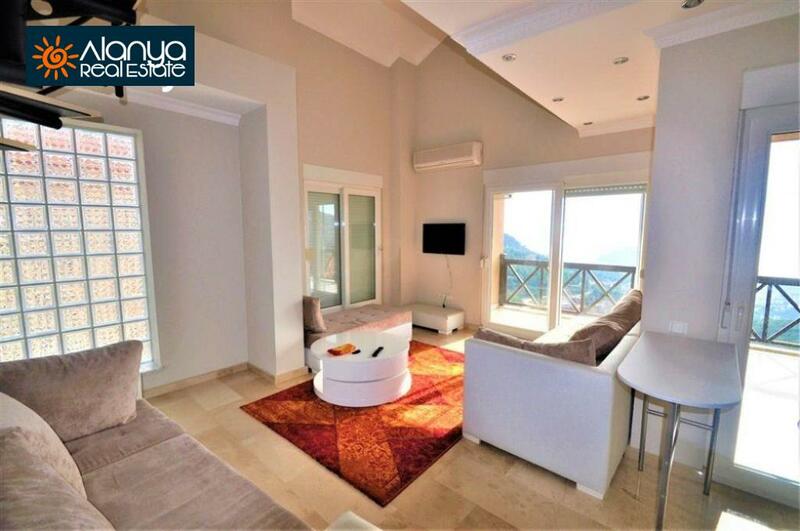 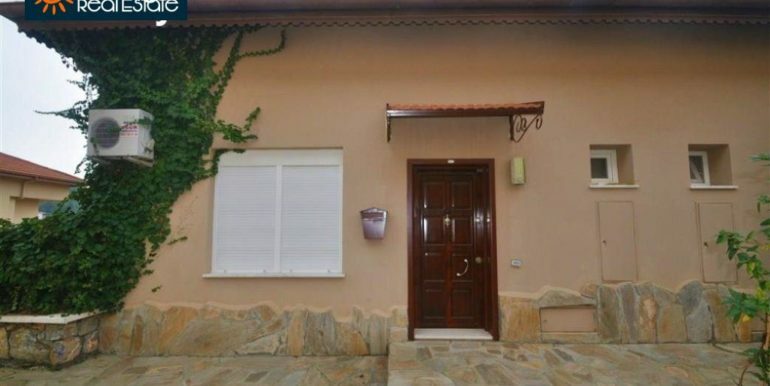 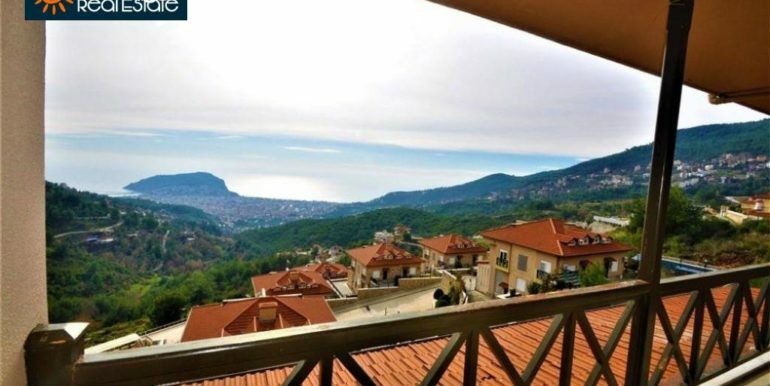 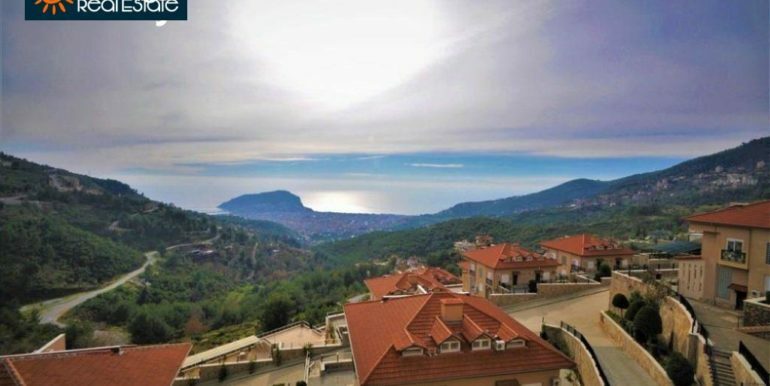 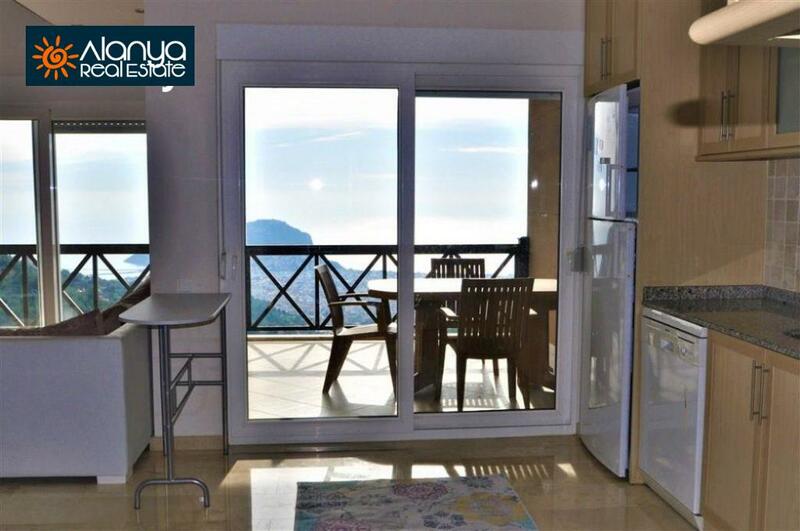 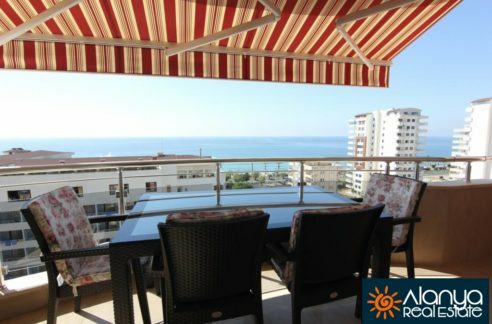 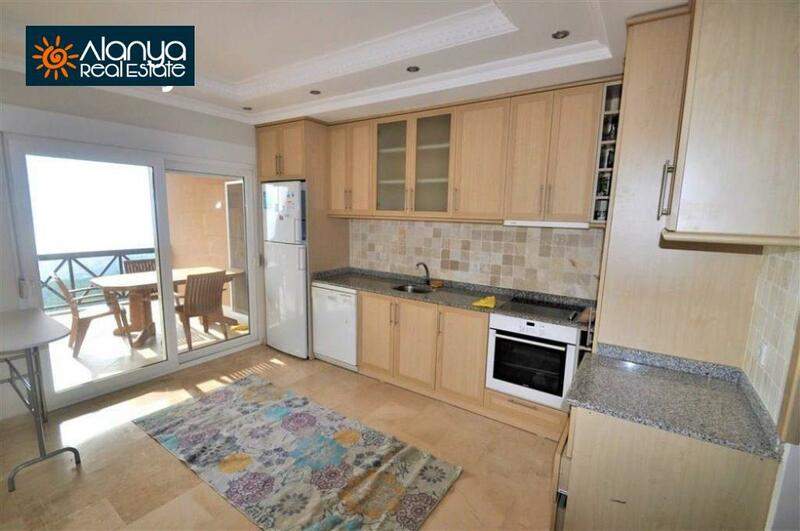 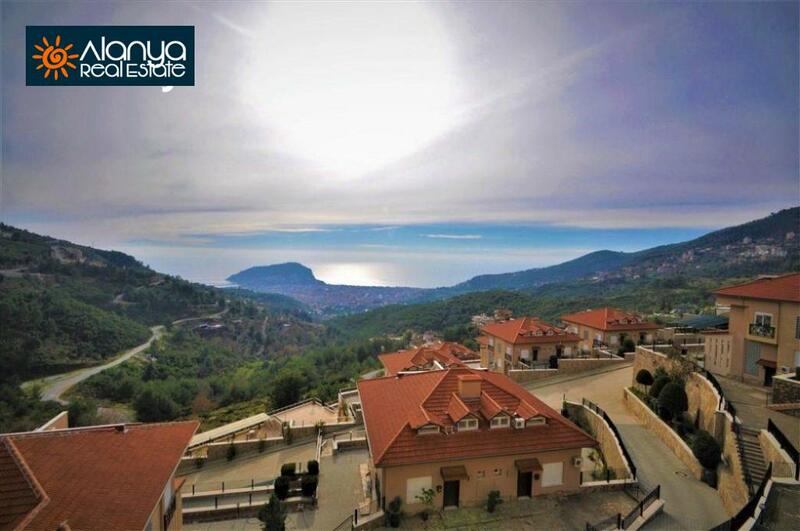 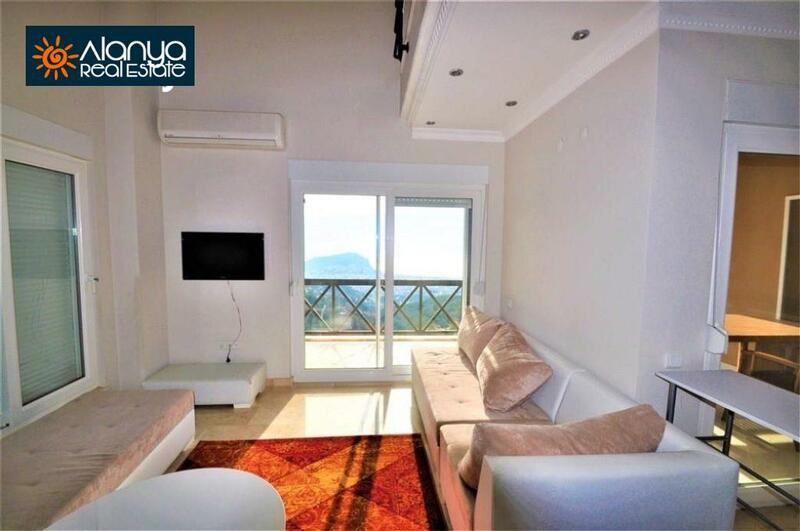 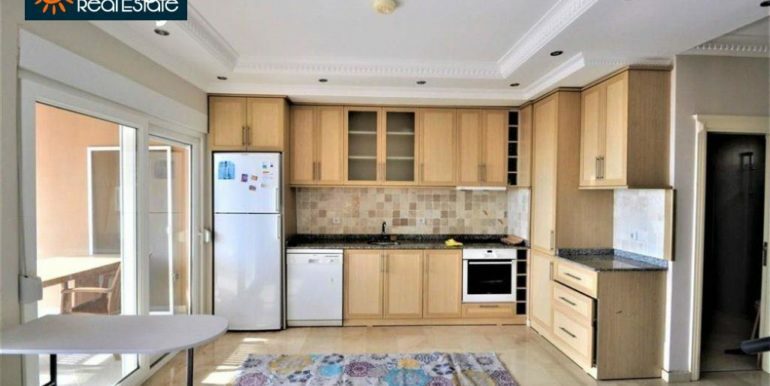 The penthouse is located in a villa complex in North Alanya Tepe Bektas. 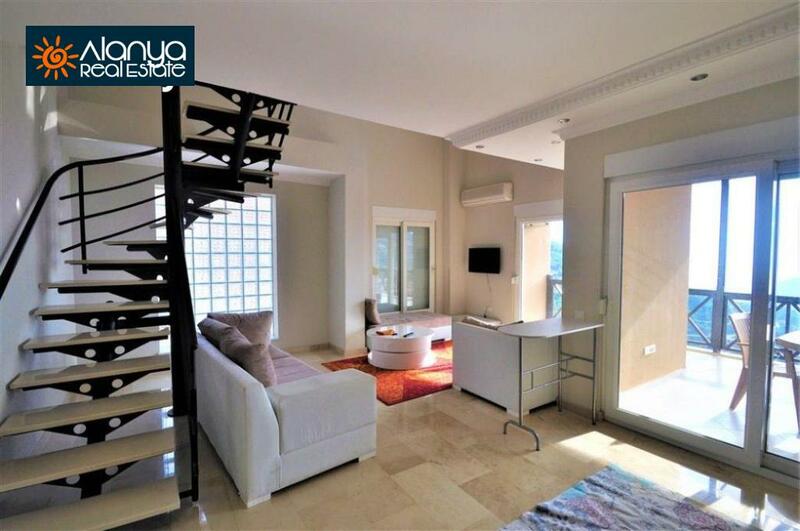 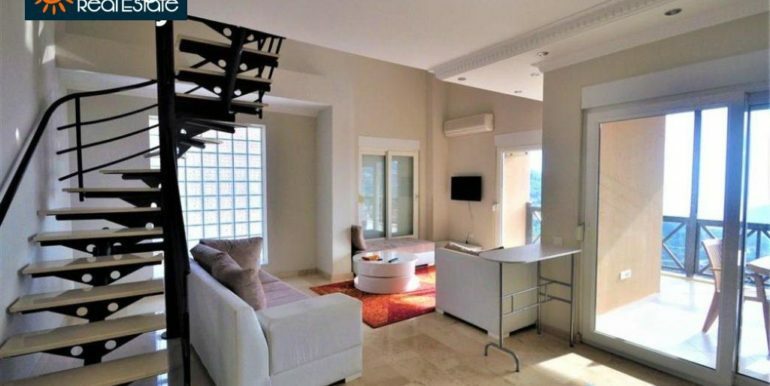 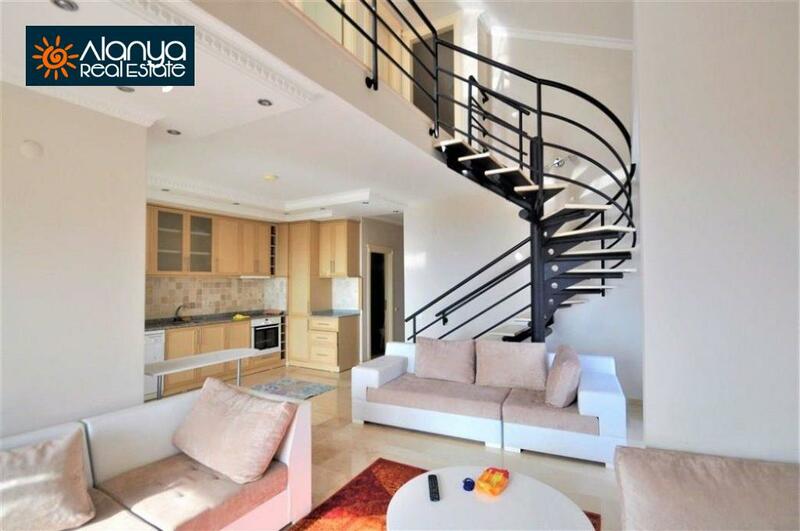 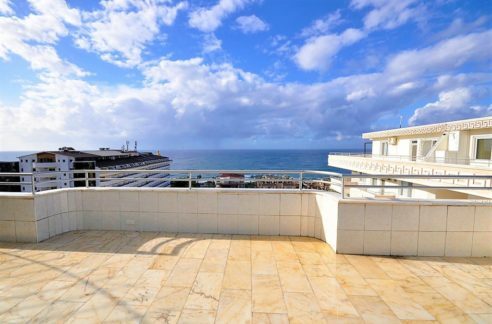 The penthouse is 140 sqm and offers 3 bedrooms, 1 living room with open kitchen, 2 bathrooms, balcony and terrace balcony with amazing sea view. 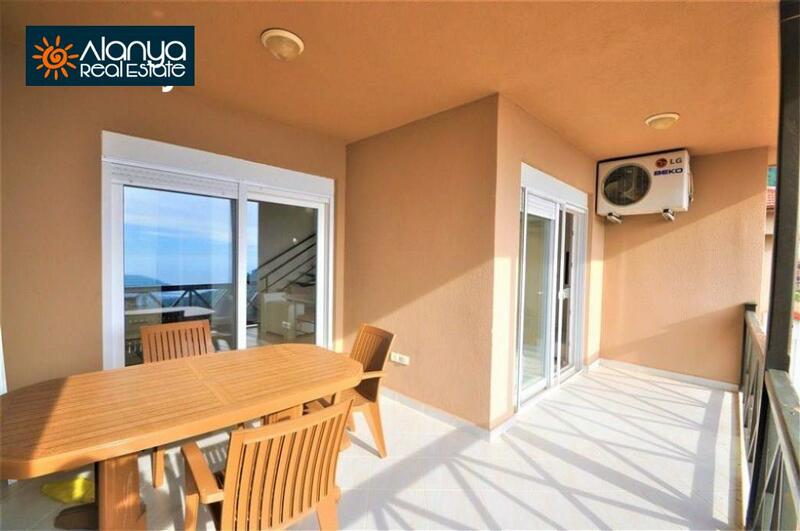 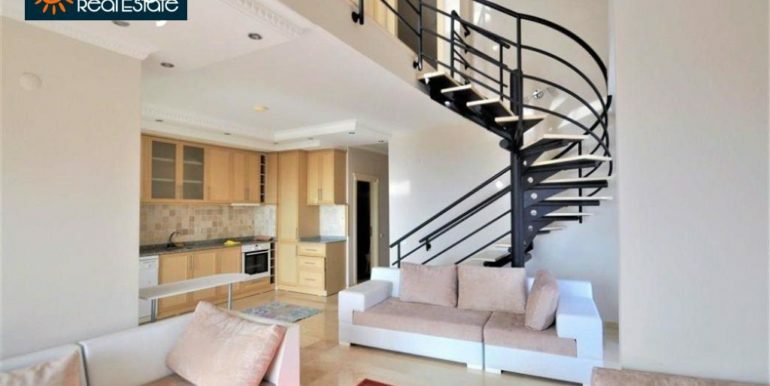 The penthouse is offered fully furnished and in all rooms are air conditioning. 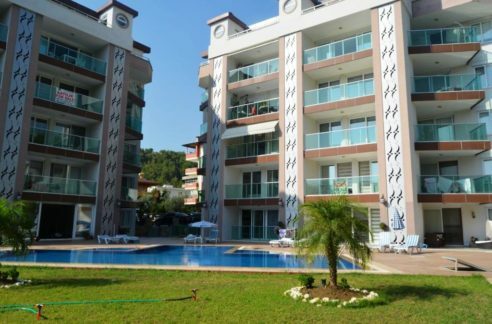 The complex offers a large swimming pool, tennis court, sauna, children’s playground and caretaking.